The Green Building Congress took place in Mumbai from 6 to 8 October this year. The Indian Green Building Council facilitated this event. This is a look back of Withindia Building Solutions. Professionals from all over the world linked to sustainable building showed up during this congress to attend speeches from the leading innovators in green building. In addition companies connected to green building had the opportunity to showcase and demonstrate their latest product innovations at the exhibition hall. The exhibition hall contained over a hundred stands, settled by the most sustainable building brands of the world. Why magnesium oxide products? First of all this mineral has a low carbon footprint and it contributes to greener building methods. Withindia Building Solutions (WIBS) designs and produces panels and boards containing magnesium oxide for new-build, renovation or restoration purposes. Especially relevant is the presence of WIBS, and therefore it attended both the exhibition and congress. 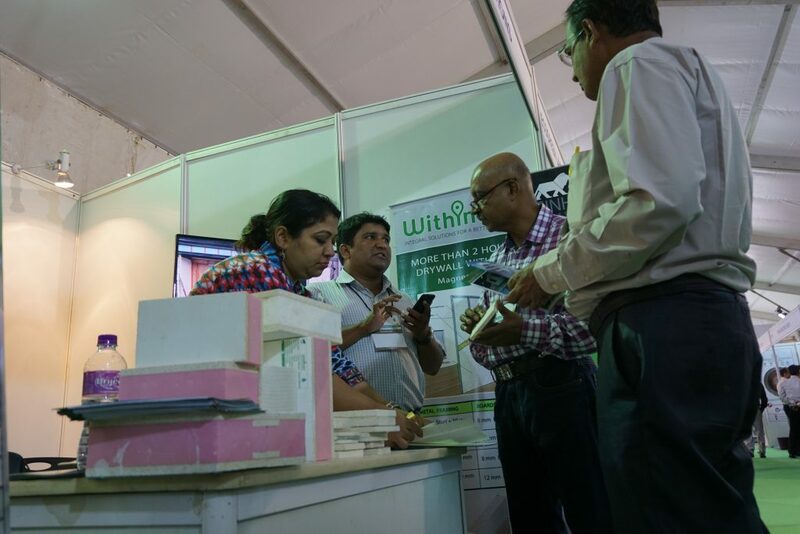 WIBS got the chance to introduce their product range with: SINH™ board, SINH™ laminate, and SINH™ panel to many constructors and architects. Visitors have especially a lot of interest in SINH™ panels. Prefabricated building is a topic that is gaining more and more popularity in India and in addition Europe. Since this was the topic of the key note speakers of the first morning of the congress our stand was visited by innovative-thinking constructors and architects to see our SINH™ panel ‘LIVE’. In conclusion: The Green Building Congress was a great success and a perfect match for WIBS.